Are you a big fan of Formula One racing? Formula racing is any of several forms of open-wheeled, single-seater motorsport. The origin of the term lies in the nomenclature adopted by the FIA for its post-World War II single-seater regulations, or formulae, the best known of which are Formula One, Two, Three, and Four. Now you can build your own formula car that fits in the palm of your hand! 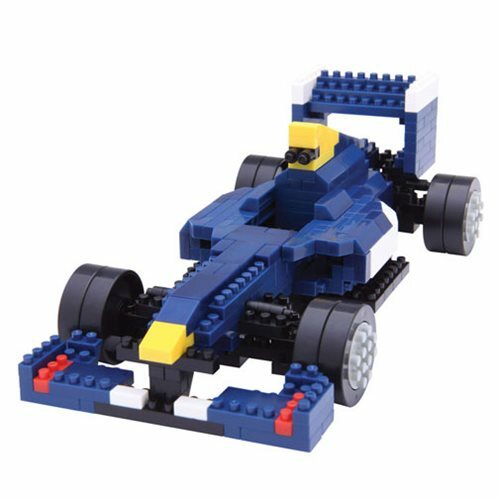 With these micro-sized building blocks, your 3D model will take shape right beneath your fingertips, and you'll be amazed as the Formula Car Nanoblock Constructible Figure is assembled to the tiniest detail.